The past few weeks have been pretty crazy. Last week was Spring Break. I was so excited, thinking I would get to sleep in, have tons of time to do projects and spend time having fun with my kids. Of course things don't always go as planned. We did get to sleep in (which was soooo wonderful) but there wasn't a lot of time for projects or fun stuff. Although we did fit in one trip to Chuck E Cheese. Don't my husband and I look thrilled to be there? We actually love CEC and all had a great time! This week I've been trying to catch up on my housework and yard work. And I'm beat. Here is what I've been working on. 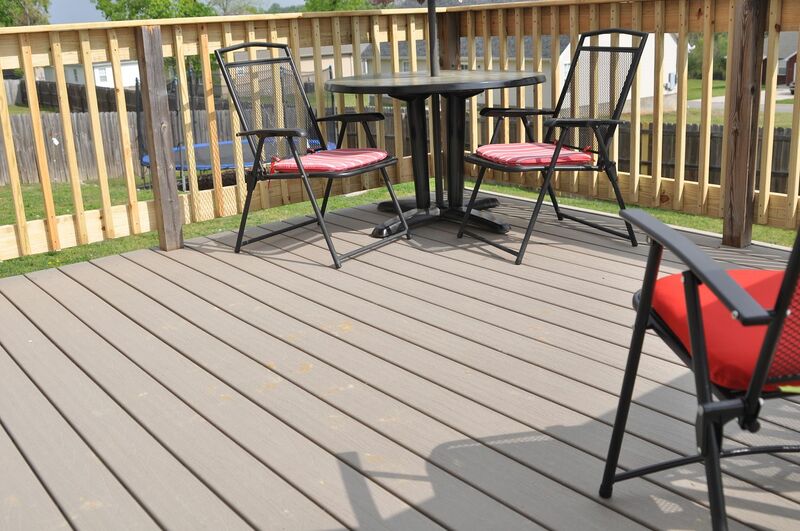 We got a new deck! 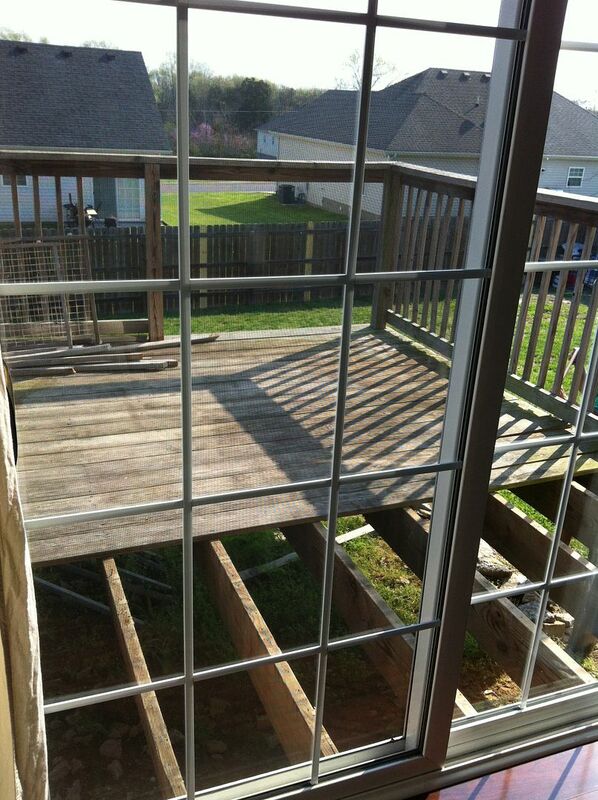 Our deck was built about 9 years ago. It wasn't built very well and we neglected it. A few weeks ago, one of my kids was leaning on one of the rails and it fell off. I also noticed that the stairs were being held on by about 3 nails. Not good. That left us with no choice but to get a new one. I thought about doing it myself. It's just straight cuts and none of the under stuff connected to the house or poles into the ground needed to be replaced. But when I had my fence guy out fixing my gate, he told me he did decks too and could do a composite wood on the floor that wouldn't splinter. Sold!! 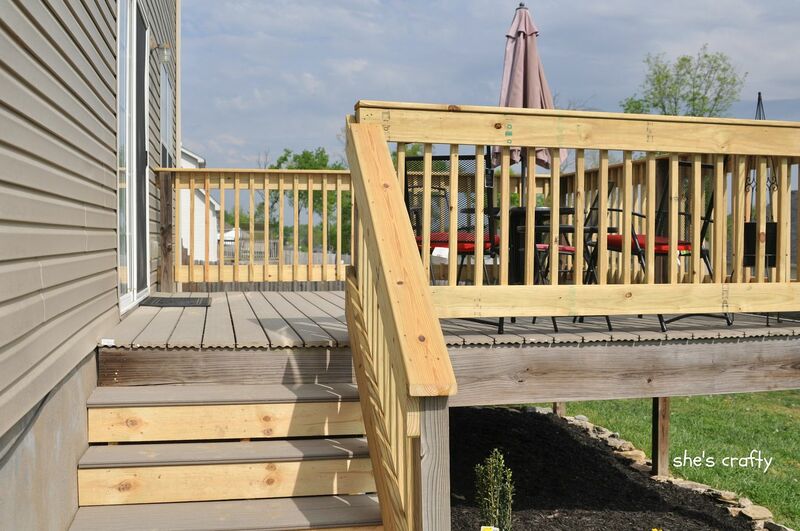 We have always had issues with nail pops and splinters on our old deck. Here is the before. The guys had already started taking it apart. The big hole on the back is where my son knocked off one of the rails. stain all the wood to match the composite on the floor. The wood needs to cure for a month before that is done. I also want to get some potted plants, a new table and new chair cushions, plus style everything so it looks pretty and inviting. That will be my next project. With our deck looking so nice (try to ignore the aged wood apron, it will be stained soon), the landscaping needed to step up a notch. 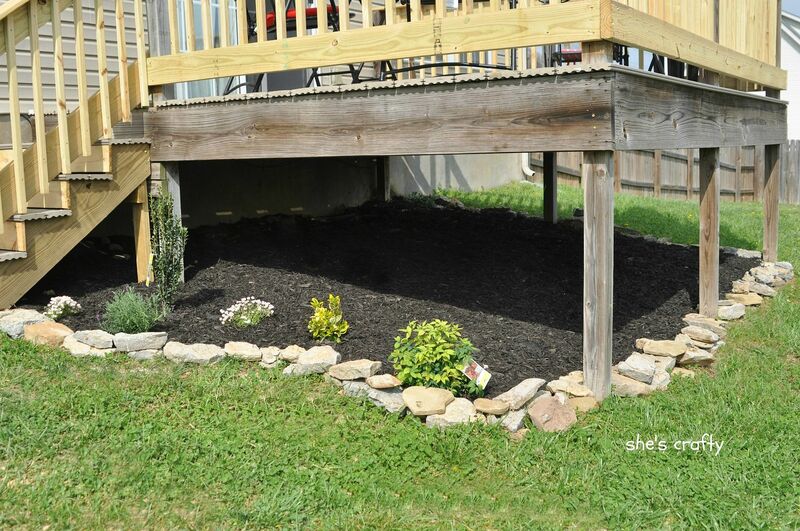 So I covered the entire space under the deck with weed mat and a bunch of black mulch. Picture me crawling under there on my hands and knees dragging giganto bags of mulch. Yea, it wasn't pretty. And my knees are going to take some time to heal from that. But the result is so worth it!! 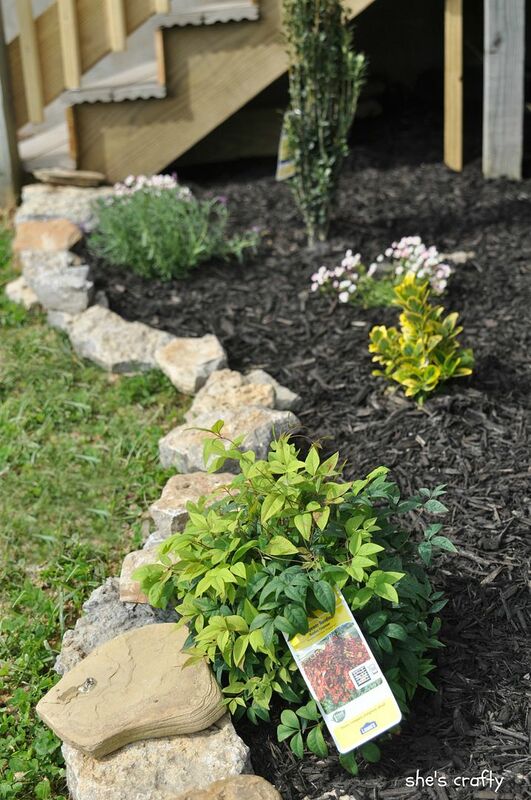 I planted a few shrubs and flowers on the side. 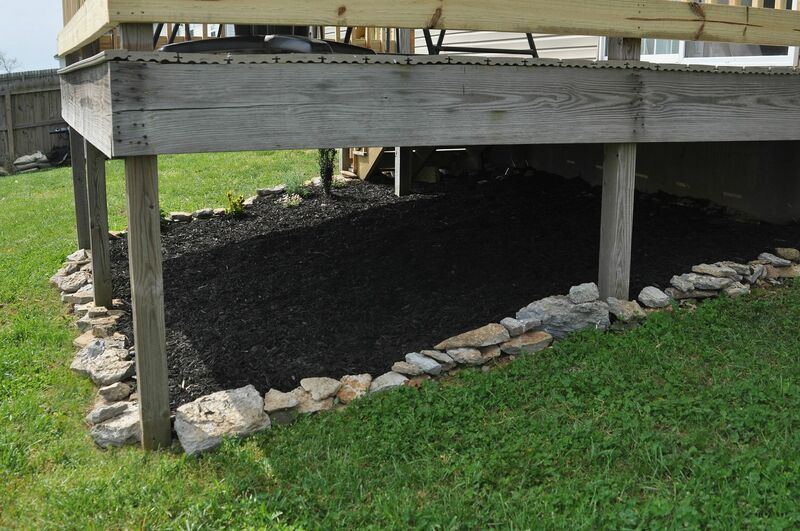 I wanted to plant things all the way around the deck and maybe some ground cover underneath, but that will have to happen over time. I'm pretty thrilled with how it has turned out so far. 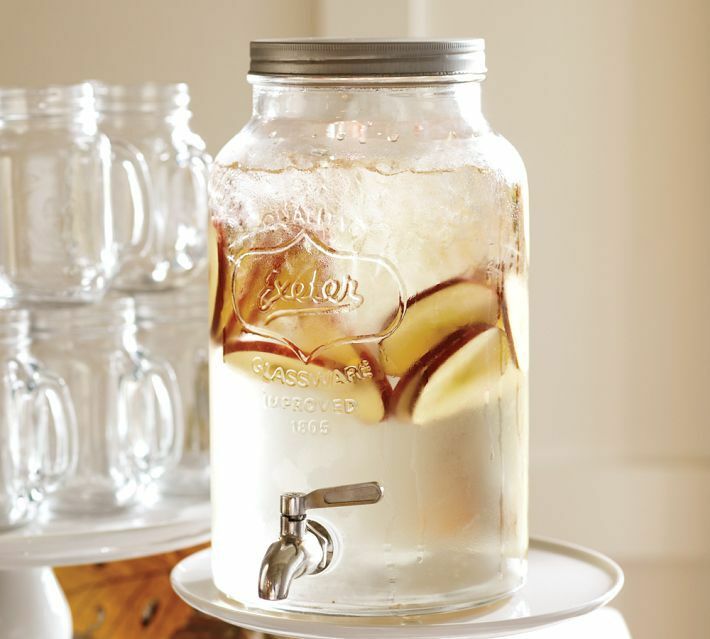 I was browsing Pottery Barn catalog last week and saw the cutest drink dispenser. 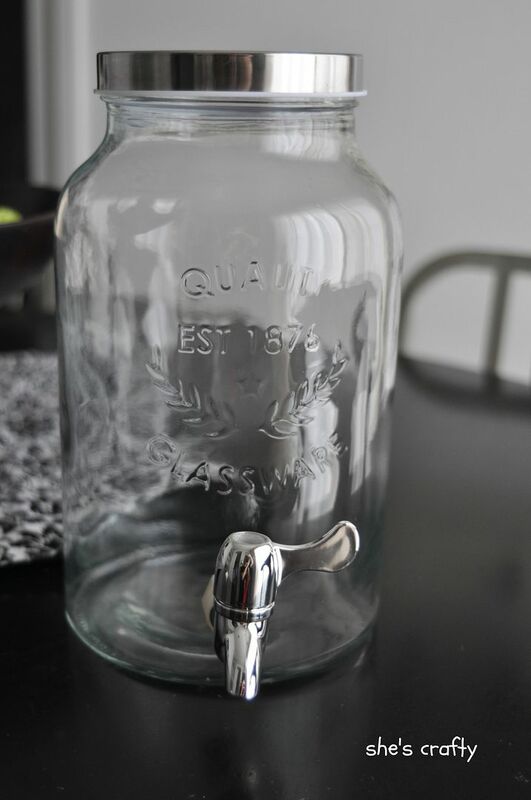 I debated paying the crazy amount it cost because it is so dang cute and would be perfect for parties and such. But decided to think about it for a little while. Almost the exact same thing for about $50 less. Definitely a good deal and fun find!! What have you been working on or found this week? You and your family are surely having a great time together haha. It was nice of you to write a post about this on your blog and it will make people happy for sure.